It's rarely something obvious. That's why we call it a hidden motivator – something that might easily be overlooked in the usual scheme of things, but is actually a vital differentiating factor that can make jobs irresistible for perfect candidates. Looking at the vast majority of today's job descriptions, it's no surprise potential applicants feel they are reading the same script over and over again. All they see are generic calls to "Be a part of a great team", or "Come and grow with us" – invitations that do nothing to distinguish one company's opportunities and work culture from all the others. 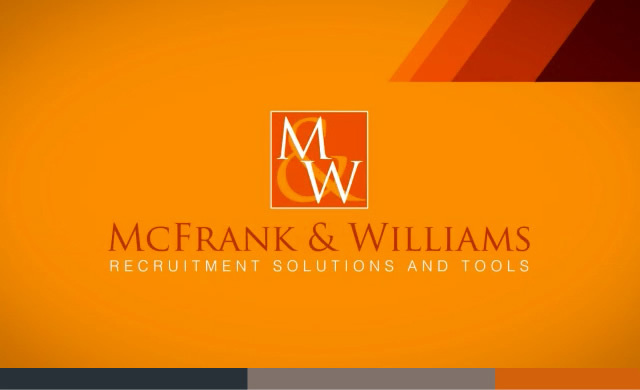 At McFrank & Williams, our HirePower™ methodology changes all that. It allows us to rethink, rewrite and re-energize your job descriptions by digging deep to identify and emphasize previously-hidden motivators that are unique to your working environments. The result is a supremely cost-effective form of custom targeting and messaging that not only makes your opportunities leap out from the rest and resonate with ideal-fit candidates, but also provides hiring managers and recruiters with an invaluable resource at interview stage. And that's just the start. By looking deeper into our website, you will find many more advantages offered by HirePower™ and our other custom programs and prime services that combine to set us – and your job opportunities – apart from the rest.